What path of development will choose Poland? Poland is looking for its place in the future. Fast Brexit and irreconcilable differences with the European Union are forcing Warsaw to look for new sources of funding and reorient its foreign policy. And if it is impossible to develop within the EU, where all the main preferences get the leaders of the EU – Germany and France, then there are ways either to the west or to the east. The eastern direction is unexplored, but it beckons with the ring of Chinese yuan, not divided markets and partners ready to cooperate. There are certain risks and fears. But the possible profits are simply enormous. The obstacle in this direction is the notorious Russia, which in recent decades has been designated as the main adversary. And without building friendly and partnership relations with it, full-fledged and effective cooperation with the countries of the Asia-Pacific region is hardly possible. Yes, Russophobic sentiments are too strong in Poland to undertake such a fateful step. It remains the most simple and familiar direction – the west. For why abandon what works so well. In this case, strengthening relations with traditional partners, primarily with the United States, is of paramount importance. And nothing binds partners so firmly as joint financial projects. So the Polish leadership remembered that NATO had not expanded to the east for a long time. And Andrzej Duda proposed that his American counterpart Donald Trump to build a permanent NATO military base in Poland, known in the press as a pleasant name for the American leader, «Trump Fort». As the main arguments, it is stated that since 1999 the bases of the North Atlantic Alliance have not moved to the east. And the construction of a new full-fledged base would strengthen the position of the eastern flank of the block, and at the same time the reinforced concrete nature of the US obligations to the allies. At the same time, Warsaw declared its readiness to assume significant financial costs for the construction of the American base. With the successful implementation of the project, it will serve as an effective tool to strengthen the position of Poland in Europe. 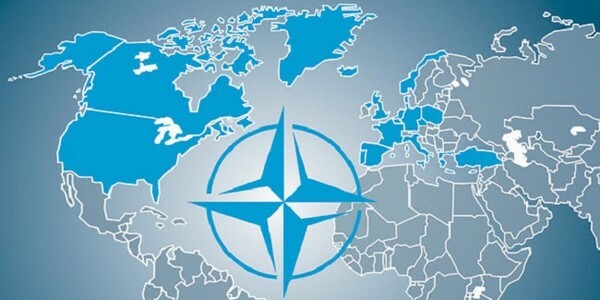 And not only within the framework of NATO, but also within the European Union. As for the United States, for them the strengthening of Poland’s shaky positions in the EU is also beneficial. After all, Warsaw is a traditional conductor of American interests in Europe and one of the most loyal allies. So the Polish leadership seems to have decided on the direction of the country’s further development. With the successful implementation of the Fort Trump project, Warsaw will secure American support and will be able to count on continued American funding, thereby closing the gaps from cutting back on European subsidies.